I am writing this article on Ba Kua not to insinuate that this is the only way to train or that our system is the best. There are many styles of Ba Kua and they all have their place in the Internal Arts. I only hope to share what my teacher taught me. 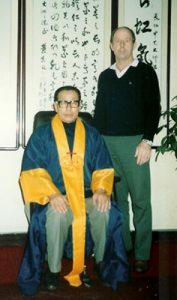 I am honored that Master Chiao Chang-Hung accepted me to be his first and only American student. We became very close and I would go to his house and he would come and stay at my house many times. I studied with him for 17 years, until he ascended on to another life on August 22, 2001. Master Chiao Chang-Hung was considered a living legion in the Internal Arts in Taiwan. He mastered the internal systems of Ba Kua, Little Nine Heaven and Hsing-I and his swordsmanship and fighting abilities were unmatched. He was very strong internally and externally. He was afraid that the old ways would be forgotten because he noticed that many of the styles had been changed over the years because of the new Mainland China teachings. He taught the systems the way he learned them many years ago in Mainland China and kept them pure. The movements are very simple. It is better to have correct alignment and techniques that are full of spirit, than to have a technique that is a flowery dance like modern Wu Shu. 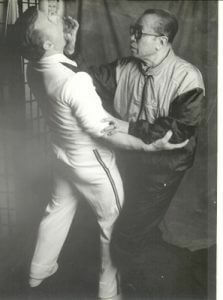 Master Chiao learned his Dragon Style Ba Kua from Master Yan Ju-Lin, who was the top apprentice of the Ba Kua Master Ma Wei-Chi. Master. Yan Ju-Lin was a short and stocky man and a very powerful teacher. It was hard for him to keep students long because he hurt many of them through his rough teaching method. Master Chiao was among the few who could withstand his training. 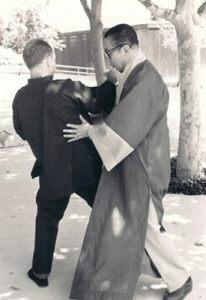 Master Chiao respected him and his teachings very much. Ma Wei Chi 1851 – 1880) – When he was young he loved to fight and later, after learning Ba Kua, became a very fierce fighter. He was nicknamed “Coal Ma” because he sold coal and briquettes out of the shop he owned in Beijing. He often bragged and demonstrated his skills whenever he had a chance. He was a rough teacher and was despised by the Ba Kua community. He died suddenly at the age of 29. There is still controversy surrounding his death. Master Chiao told me I must walk the circle for at least two hours a day for one year. He said that when he saw me again it must be almost perfect or he would not teach me anything else. Walking the circle is very important in Ba Kua as he would say, “anyone can walk a circle, but not everyone can walk a Ba Kua circle.” In the mud-walking step the back foot pushes off and then the front heel lifts slightly and then as the foot is brought forward it flattens out parallel to the ground slightly and hovers just over the surface of the ground when stepping. The head should not move up and down or side-to-side, you should look as though you are gliding across the ground; but at the same time be centered, solid, walk with spirit, and concentrate on a single goal of stillness in motion. Walking a Ba Kua circle is difficult in the beginning; if it is done correctly. One should start walking slow and low, while concentrating on each and every move that has been taught. As the years go by one should start walking at the middle height and a little faster. At the advanced level one should walk at the upper level and faster still. 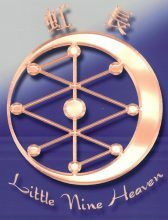 In the advanced stage, the Ba Kua practitioner’s body is in constant motion while walking the circle. Walking the circle forms a foundation for a number of important reasons, each having to do with the development of physical skills, internal cultivation and fighting skills. Walking the circle slowly and low will strengthen the legs as well as the upper portion of the body. This is easier said than done. You should try to walk with your body straight, natural and the movements should be comfortable. Try to achieve a feeling of being solid and centered while moving slowly. The knee should be bent as much as possible while the upper body is held straight. The head should be straight up while the shoulders and elbows are down. The back should be rounded but also straight while the chest is concaved. One should one day learn to do the walking for meditative purposes. The walking should be slow and steady with the mind focused and calm; one must learn to develop a balance of chi flow in the body, the breathing and movement should be very smooth, the changing of direction is infrequent and the walking position is at a middle or upper level so the body will not tire; the mind should be empty and the eyes should never blink. The first animal he taught me was the Snake form. 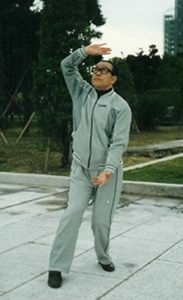 I had to practice it for 2 to 4 hours everyday for one week under Master Chiao’s watchful eye. He offered guidance and quickly corrected my mistakes. I would practice for several additional hours during my free time so that I could perfect what my teacher had shown me. Over the next year he taught me the other seven animals. When learning an animal, one should practice it over and over again. Try to adopt the spirit of that animal. Don’t be in a hurry to move on to the next animal. 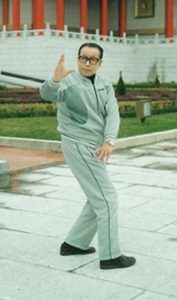 Master Yan Ju-Lin’s Dragon Style Ba Kua contains the following animals: (1) Snake (2) Swallow (3) Dragon (4) Chi Len (5) Phoenix (6) Lion (7) Bear (8) Monkey. Years later Master Chiao taught me the secret handshake. He said many years ago after a student learns the complete system of Ba Kua, and the teacher feels he/she is worthy, will he teach the secret handshake. This handshake was used to identify who was truly a master of Ba Kua in its closed society. I truly hope you all have enjoyed this short article and I hope you understand that I feel all systems are good and that there is no one system that is the best for everyone. Remember, that receiving your black belt only signifies the beginning of your learning. My teachers never gave out black belts in Ba Kua, Tzu Men Chuan, Chen Tai-Chi or Little Nine Heaven system. In the old way you are either a student or a teacher.